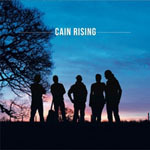 Share the post "Album review: CAIN RISING – s/t"
With a name like Southside Jimmy and the mix of country, folk and rock that borrows heavily on the likes of Tom Petty, Bruce Springsteen, and Bob Dylan that permeate this eponymous debut, you’d be forgiven for thinking Cain Rising spring from the American heartlands. But the Southside from which the main Cain Rising protagonist Southside Jimmy Price draws his name is the Southside of the Clyde; the hard knock back streets of the Gorbals. Drawn to London by the 80s music scene, Jimmy was one half of Exposure (with ex-Toyah guitarist Joel Bogen), going on to play bass and sing lead vocals with Mike Oldfield and Bonnie Tyler. No stranger to a Springsteen cover, Cain Rising sees Southside, take influences from the folk and country music of childhood in Glasgow and marry them the American music that’s come from America over the last four decades. The result is a set of songs that have gone down well at gigs: impassioned vocals, strong melodies and some excellent playing courtesy of Southside, Jez Parry (bass), Kevin Blake (guitars), Paul King (drums), Dave Baldwin (Hammond/piano) and Jo Parry (backing vocals). This entry was posted in ALBUM REVIEWS, ALBUM REVIEWS (Mobile), All Posts and tagged album, Americana, Cain Rising, review, rock, roots. Bookmark the permalink.